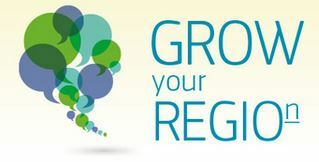 The GROW your REGIOn conference was a dynamic event bringing together regional policy makers and members of the business community. The aim was to find joint avenues to help drive growth through innovation, collaboration and the breaking of sectoral and regional silos. This was the first joint event of this kind by the European Commission's Directorate General for Internal Market, Industry, Entrepreneurship, and SMEs, DG GROW, and the Directorate General for Regional and Urban Policy, DG REGIO. The joining of forces of these DGs demonstrated the importance of this topic and the 350 attendees had a fantastic opportunity to network and directly discuss possible future collaboration in a stimulating environment. The conference highlighted the common priorities of the two Directorates-General with regard to clusters, industry policy and smart specialisation. This was emphasised by Directors General Daniel Calleja (GROWTH) and Walter Deffaa (REGIO) who opened the conference in a joint dialogue. "Clusters can bring in knowledge needed to make smart specialisation successful" pointed out Walter Deffaa. Daniel Calleja supported this statement, saying that "clusters are a huge driving force [since they] represent 39% of all European jobs". The conference was characterised by a very strong emphasis on interactive participation, through a series of sessions which relied completely on input from the audience. Participants had the chance to share experiences about cluster practices in their regions, learn about novel ways of implementing smart specialisation, and explore new cluster partnerships for joint activities. All participants were actively engaged and were able to seek and provide information on topics that interested them directly. Against this background, a panel debate based on the participants' inputs gave a bright start to the second day of the conference, moving from smart cluster stories to smart cluster partnering. The panel experts called for more collaborative efforts in the implementation of smart specialisation strategies and for the Commission to create more opportunities like the cluster action under Horizon2020. One of the conclusions of the panel were that not only "Vanguard Initiative"-type political commitment is needed but also stronger partnering and better alignment with concrete cluster actions on the ground. This acted as a boost for participants to move on to a fully engaging innovative market place session to map out new partnering opportunities and possible joint actions. This session was fully participant-led and explored areas of interest suggested by them. The outcomes of the individual group discussions were then presented, along with a mention of partnering opportunities that had been identified. As the event came to a close, the respective Heads of Units gave their feedback. Kirsi Ekroth-Mansilla, 'SMEs: Clusters and Emerging Industries, DG GROWTH' highlighted the importance of this event as an opportunity to hear directly from stakeholders so the Commission could better understand the needs of the business community and work towards that. This was supported by Colin Wolfe, 'Competence Centre: Smart and Sustainable Growth, DG REGIO' who stressed the "continuous need to talk to business in the implementation of smart specialisation strategies" particularly on behalf of the participants. The closing of the conference was very dynamic since all the outcomes came from the participants themselves. In his final remarks, Mikel Landabaso, Head of Cabinet of Commissioner Corinna Creţu, responsible for Regional Policy, emphasized that "Clusters are the DNA of Smart Specialisation". "We gather all the inputs to build the future EU cluster strategy" added Tomasz Husak, Head of Cabinet of Commissioner Elźbieta Bieńkowska responsible for Internal Market, Industry, Entrepreneurship and SMEs. Mr. Husak then went on to say that the stories and lessons learned from this event will be integrated into the 'Smart Guide to Cluster Policy', to be released soon jointly by DGs REGIO and GROWTH. Both the outcomes and the participatory style of the conference got a "thumbs up" from the participants, and is likely to be the first of many to come.